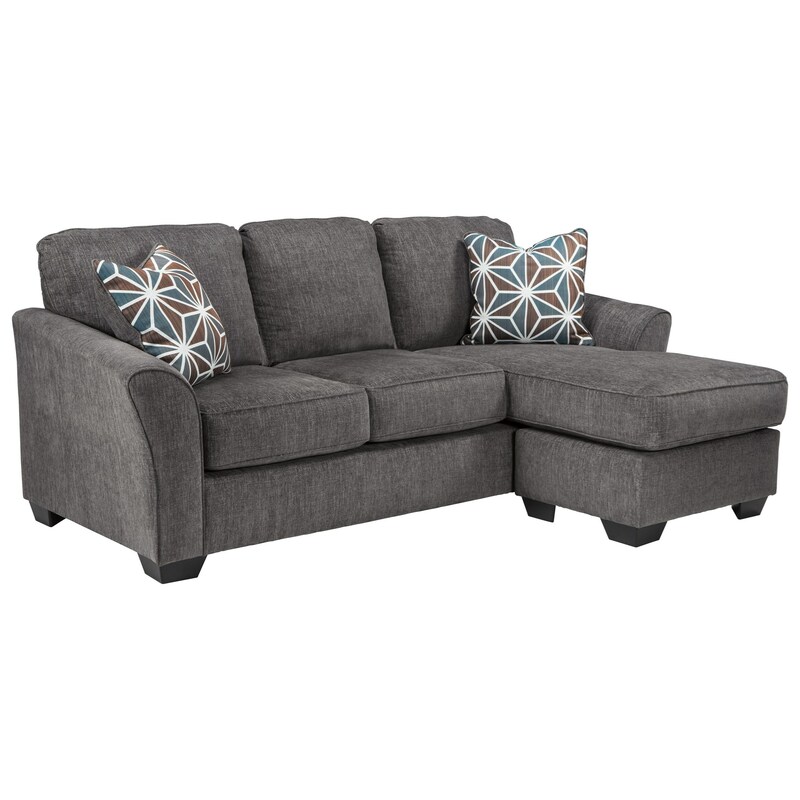 Showcasing casual contemporary style with flared arms and two brightly patterned geometric accent pillows, this sofa chaise/compact sectional offers the comfort of a chaise in a small footprint. The chaise section can be configured to use on either end of the sofa chaise. The Brise Casual Contemporary Sofa Chaise by Benchcraft by Ashley at A1 Furniture & Mattress in the Madison, WI area. Product availability may vary. Contact us for the most current availability on this product. The Brise collection is a great option if you are looking for Contemporary furniture in the Madison, WI area. Browse other items in the Brise collection from A1 Furniture & Mattress in the Madison, WI area.